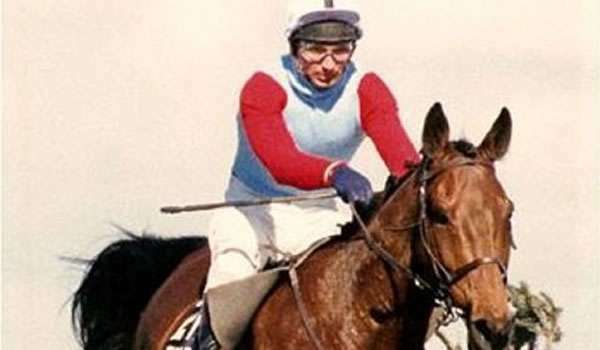 Little Polveir won the 1989 Grand National in a time of ten minutes and 6.9 seconds at his fourth attempt in the race. The Irish twelve year old, was owned by Edward Harvey, trained by GB Balding and partnered with jockey Jimmy Frost. 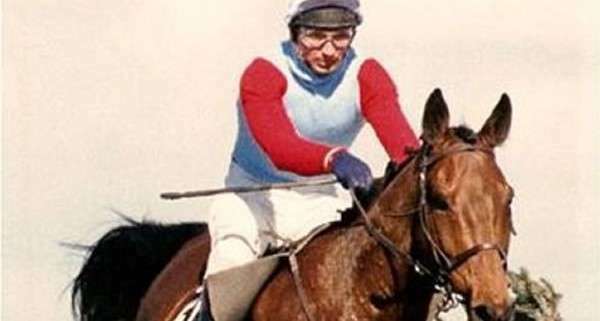 He had made an impressive debut in 1983, winning a three mile novice chase at Chepstow by 20 lengths, but then became known for his careless jumping. 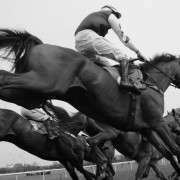 However in 1987 Little Polveir proved to be an out and out stayer, winning the Scottish Grand National by 10 lengths on heavy ground. He had been owned by a four way partnership but six weeks before the race was sold to Harvey for 15,000 guineas. Having finished ninth in the 1986 Grand National he did nothing to impress in 1987 or 1988, when he unseated his rider on both occasions. A maximum 40 runners took part in the 1989 race but only 14 completed the course. Sadly two horses Brown Trix and Seeandem, fell fatally at Becher’s Brook, this led to Aintree taking measures to reduce the severity of the fence. Dixton House at 7/1 was the clear favourite on the day, with The Thinker and Bonanza Boy at 10/1 and Little Polveir starting at 28/1. Starting the race steadily Little Polveir kept clear of early fallers managing to avoid the horrendous pile up at the first Becher’s which claimed the lives of two horses. After the Canal turn he began to close on the leaders and by The Chair was in the lead jointly with West Tip, Mithras and Kersil. He took the lead early in the second circuit but with plenty of others in contention. Smart Tar made a challenge but then unseated his rider and by the run in only Durham Edition seemed a serious challenge. Little Polveir increased his lead to claim victory by seven lengths, Durham Edition ran out of steam in the mud and was placed second, with The Thinker in third position. Mr Shone, one of the partnership who had owned Little Polvier shortly before the race and seen him make three unsuccessful Grand National bids, fortunately backed him to win at ante-post odds of 40/1. The 1989 Grand National was seen by a record crowd at that time of 74,189 racegoers, which would not be bettered until the Monday race of 1997.